Sell your iPhone 6 Plus 16GB online in just a few minutes, courtesy of OnRecycle. You'll get the most money for your model right here, so selling your iPhone 6 Plus 16GB with us is a no-brainer! Searching for the best online stores to sell iPhone 6 Plus 16GB models? 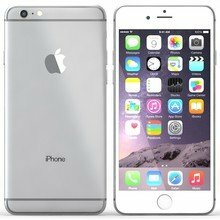 Look no further: with OnRecycle, you'll be able to explore iPhone 6 Plus 16GB trade in prices from an array of popular mobile phone recyclers in just a few seconds. Sell your iPhone 6 Plus 16GB for cash today.